Australia Day: we wish one and all a most pleasant Australia Day and ask God’s blessings on this land of the Southern Cross. Roadworks: during the week at St. Mary’s Jindera, please be mindful when parking not to obstruct machinery. New Rosters: for Lavington available. 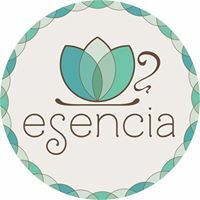 § Esencia: Coffee/ Piety Shop on Urana Rd. open from Tuesday to Saturday 9-3 pm: great place to meet and eat. § Volunteers needed to assist in Esencia Cafe and the Women’s Life Centre: the only regional centre providing care of this type in NSW – please call Peta 0427254809. House Wanted: short term lease for a good Catholic family who have moved to the area – contact the parish. Adoration Chapel: needs extra volunteers during the holidays. Please be generous with your prayer-time, tel. 0478416635. Dawso’s for all electrical needs; Electrical Contracting, tel. Daniel 0438732976. By The Book on 3/326 Griffith Rd. open Tues -Sat morning. A large range of Christian books available. Ideal present for everyone. SJM Computer Tutoring & Support: one-on-one in your home call Sean McDermott 60250506 or 0419146406. Accounting: Suryan Chandrasegaran of Albury Accounting Pty Ltd for all tax and accounting needs on 60412010.